Today -- hard to believe it's Tuesday, how did we skip over Monday? -- I would like to introduce to this blog a new feature that I'm calling "Technique Tuesday". Yes, I'm aiming to make it weekly, and what "it" is will be some new cardmaking techniques that you may find interesting. I'll be doing some stamping techniques, some coloring techniques, unique folds and more. Make it a habit to drop by on Tuesday if you'd like to jump start your creative mojo with something different, or as my signature says, "defiantly different." 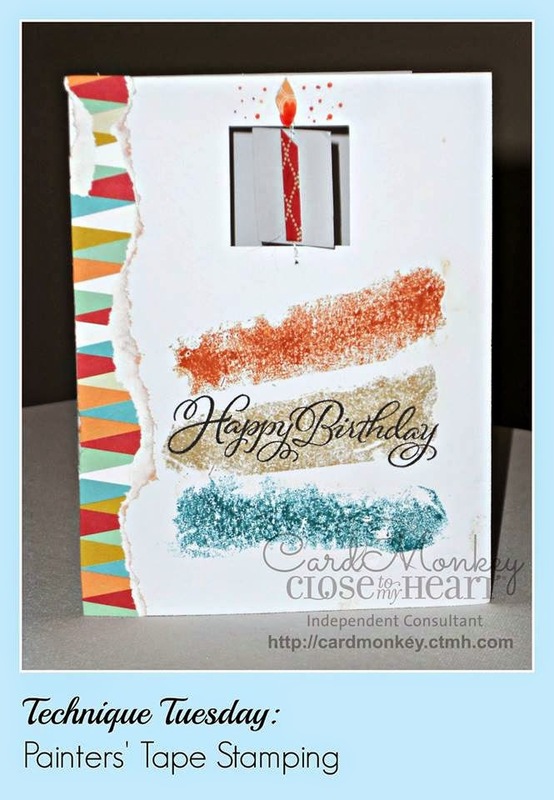 For this installment, I'd like to show you a different sort of stamping technique to add color and zing to your card background: Painter's Tape Stamping. 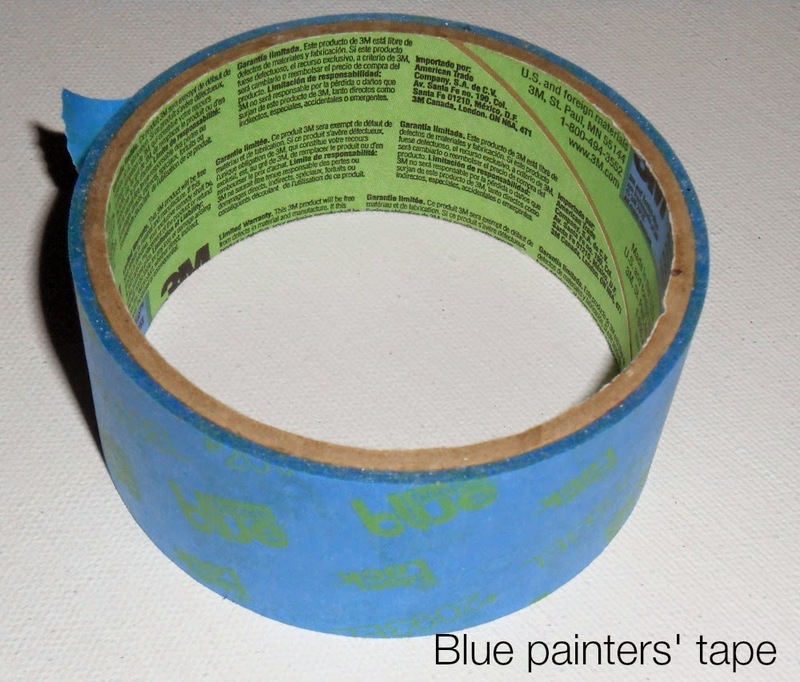 This blue tape is available in many widths; rip it down some if yours is too wide for your paper, or use it as is. (I ripped mine down.) You're only going to use ONE piece of this tape -- waste not, want not -- in three different shades of ink. Don't worry, you'll be transferring your ink completely from the sticky side of the tape to the paper; your ink pad won't discolor. 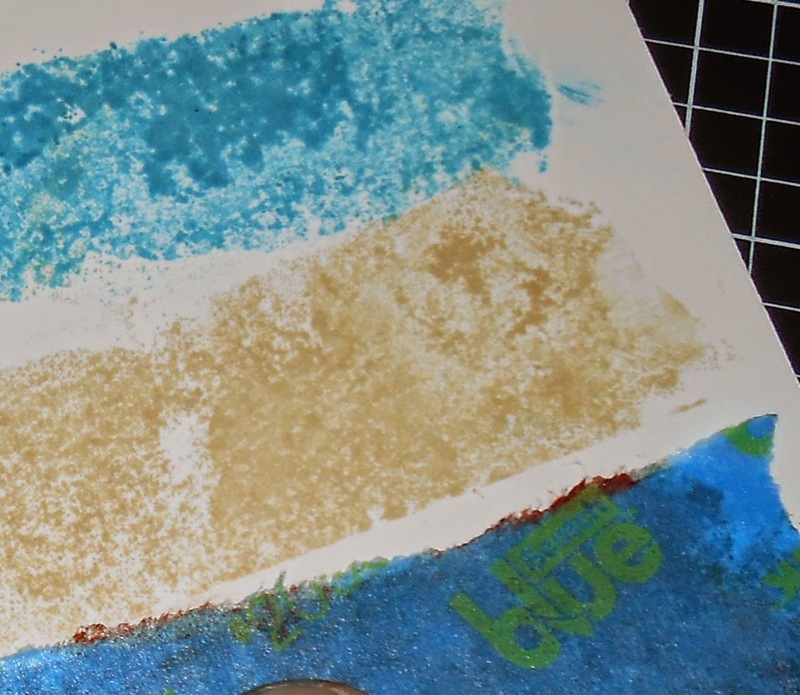 If the coverage of ink isn't what you hoped for, gently lay it back down and rub the tape again to move the ink around a bit. STEP 4: Allow all of the ink to dry thoroughly before stamping a sentiment or other art on top of your painters' tape stripes. Embellish the card as you wish. Tah-dah! You've now learned how to stamp using Painters' Tape. Fun, ehhh? 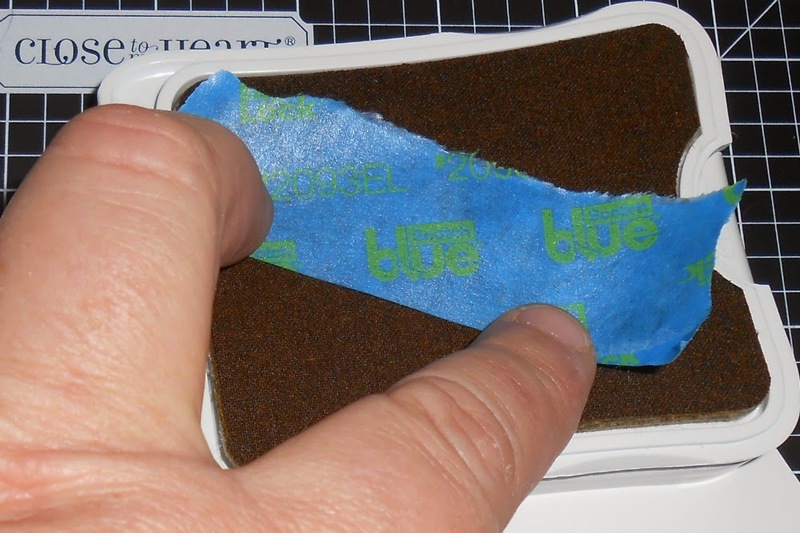 And a cool part: no stamp clean-up ... just throw away your used piece of tape when you're done. 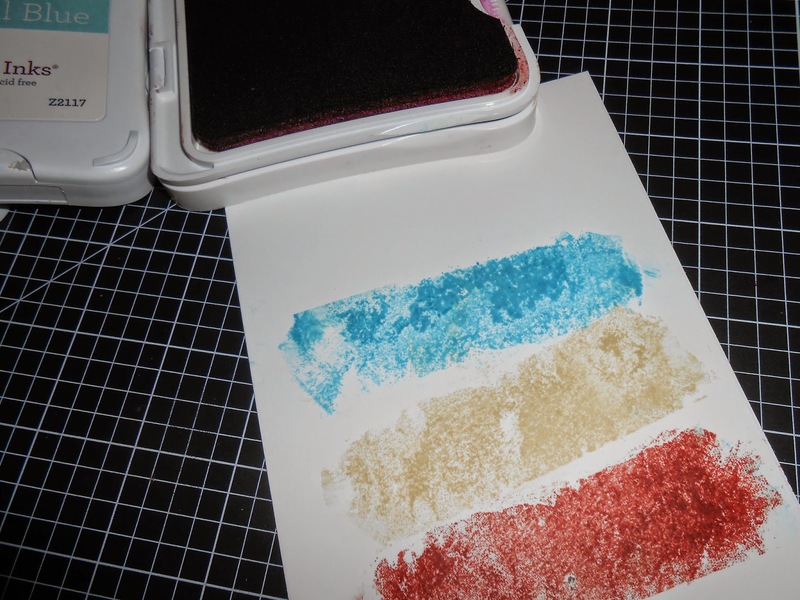 A little hint: If you're making more than one of these cards, you can use individual pieces of tape for each color ink pad. 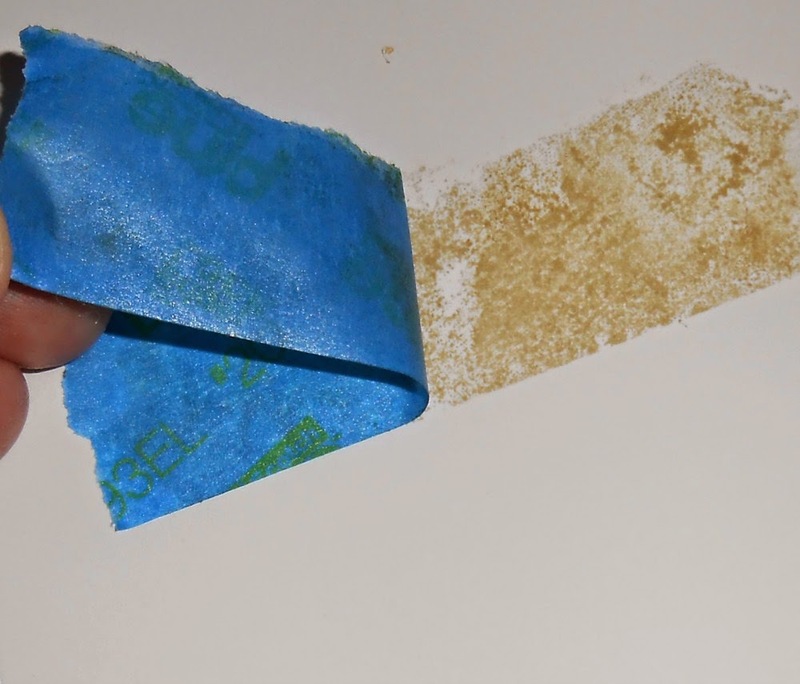 Simply write the color on the back (non-sticky) side of the tape and use it as much as you need to, without fear of cross-contaminating ink colors. Did you like this tutorial? Would you like to see more? Recommend a topic, in the comment section below, or drop me a line at my e-mail: cardmonkey@comcast.net.